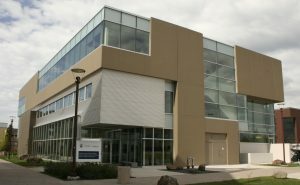 A medical school of the whole of Northern Ontario, the Northern Ontario School of Medicine (NOSM) is a joint initiative of Lakehead University and Laurentian University. The School’s 1,300 faculty members educate physicians, dietitians, physician assistants, audiologists, occupational therapists, physiotherapists, and speech-language pathologists in nearly 100 sites distributed across its wider campus of Northern Ontario. 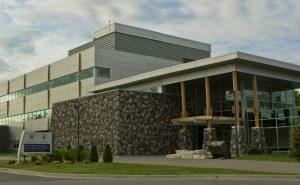 One of NOSM’s main sites, Lakehead University is located in Thunder Bay, Ontario, Canada, (population 117,000) on the shores of Lake Superior. Our faculty, staff, programs and services team up to provide an extensive range of learning choices and alternatives, offering an unbeatable combination of quality education at one of the most beautiful campuses in Canada. Laurentian University, NOSM’s other main site, is located in the city of Greater Sudbury, Ontario, Canada. With a population of 155,000, Greater Sudbury is located in Northeastern Ontario, approximately 400 km north of Toronto or 500 km northwest of Ottawa (5 hour drive). It is a full-service city situated on the Trans-Canada Highway.